The all-new 2019 Volkswagen Arteon looks like nothing else on the road, but it is unmistakably a Volkswagen. The elegant and sleek styling shows that the Volkswagen Arteon is part of the Volkswagen family, and this style is spiced up with sporty and unique details. Foremost amongst these details are the standard LED headlights that are more powerful and classier than traditional headlights. LED headlights are also more energy-efficient than the average halogen headlights. Arguably the most unique and stylish feature of the new Volkswagen Arteon is the frameless window design. To appreciate this unique design, you really need to see the VW Arteon in person. Drivers with an adventurous sense of style can select the available 20-inch wheels, which gives the VW Arteon an aggressive and sporty stance. 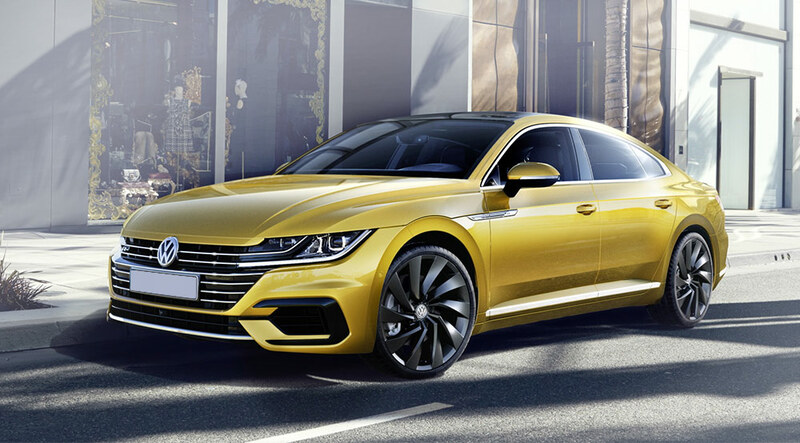 To reserve your Volkswagen Arteon at a car dealership near Fort Lauderdale, come to Vista Volkswagen Pompano Beach, or call us at 844-567-1343 today. Volkswagen is known for designing some of the safest cars on the road today. The Volkswagen Arteon is the newest car in the Volkswagen lineup, so you’d expect it to have cutting-edge safety technology. The Volkswagen Arteon is built to exceed expectations, and it does so with its impressive safety features. The body and chassis are constructed from high-strength steel that can stand up to collisions. The design of the chassis and body redirects forces around the occupants for optimal safety. The Volkswagen Arteon has a standard Adaptive Cruise Control system. This feature allows your Volkswagen to automatically maintain a safe distance from the car in front. You can lock onto the vehicle in front and set a sensible distance based on your driving preferences. The standard Blind Spot Monitor is another helpful feature. It alerts drivers when another vehicle is in your blind spot, thus reducing the risk of sideswipe collisions. Many drivers opt for the available Lane Assist, which helps you keep your Volkswagen Arteon safely in its lane. If you’re in Pompano Beach, Coconut Creek, or elsewhere in the Fort Lauderdale area, swing by Vista Volkswagen Pompano Beach to reserve your VW Arteon today. Many cars look the part, but they don’t deliver with their driving experience. The 2019 Volkswagen Arteon does deliver a dynamic driving experience in all situations. The standard 2.0L turbocharged 4-cylinder engine kicks out a muscular 268 horsepower, which is more than enough for you to have a little fun. The standard Adaptive Chassis Control has comfort, normal, and sport driving modes so you can customize the driving experience at all times. The optional all-wheel drive provides an abundance of grip in slippery conditions. Are you asking yourself “How do I find a sporty car at a VW dealer near me?” Vista Volkswagen Pompano Beach is the answer! Given the style and elegance of the Volkswagen Arteon body, the interior has a lot to live up to. It does that and more with its blend of style and luxury. The optional heated and ventilated front seats ensure that you and your passenger can stay comfortable, no matter how hot or chilly it might be outside. The optional massaging driver’s seat can help you stay comfortable on long road trips or reduce stress on your daily commute. The available panoramic sunroof keeps you and your passengers surrounded by privacy but still floods the interior with sunlight. Altogether, these features give the occupants of the Volkswagen Arteon an elegant experience that is unrivaled in the full-size sedan class. The 2019 Volkswagen Arteon completes its comprehensive approach to excellence with a dazzling array of tech features. The always-popular Apple CarPlay™ and Android Auto™ smartphone connectivity feature come standard on the Volkswagen Arteon. Also standard is a powerful Dynaudio® premium audio system. Meanwhile, its available head-up display shows important info like speed and navigation right on the windshield. Give us a call at 844-567-1343 or visit us at Vista Volkswagen Pompano Beach to reserve your Volkswagen Arteon today.